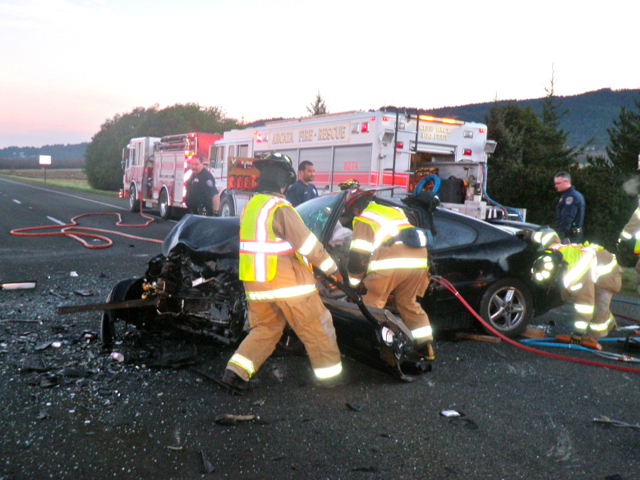 Note: The Arcata Fire Protection District released the following images and information on this morning’s fatal head-on collision on U.S. Highway 101. – Ed. 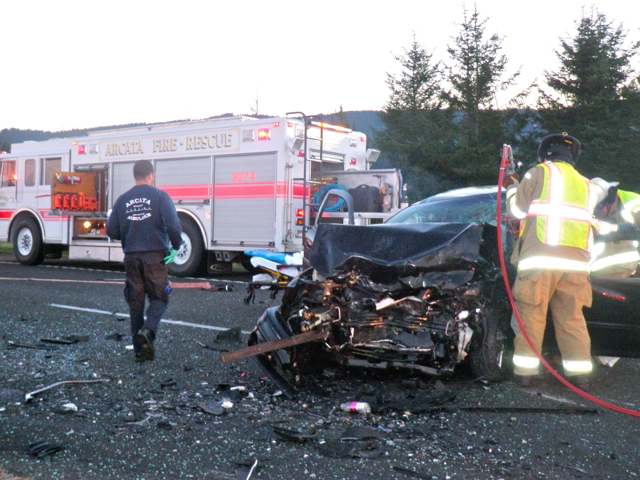 ARCATA, CA- (January 4, 2012) –Firefighters from the Arcata Fire District responded to a head-on collision on U.S. Highway 101 near the Bayside cutoff at 7:24 this morning. They found law enforcement officers from Arcata PD and CHP on scene with two vehicles in the roadway of the northbound lanes. One driver was conscious and trapped in his vehicle while the other driver had succumbed to injuries from the accident. 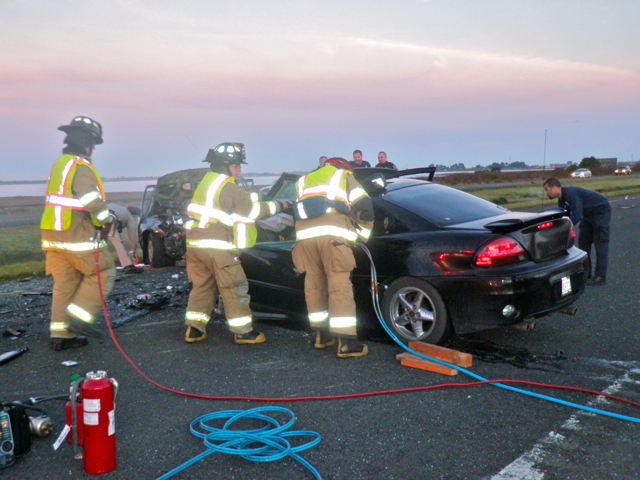 Firefighters from Engine 8216 began using the Jaws of Life to open the vehicle and rescue the trapped driver. They were assisted by additional personnel staffing the District’s heavy rescue and another engine. Nine firefighters responded to the incident and additional personnel were assigned to staff engines at District fire stations. The California Highway Patrol is investigating the cause of the accident. This entry was posted on Wednesday, January 4th, 2012 at 3:44 pm	and is filed under News. You can follow any responses to this entry through the RSS 2.0 feed.